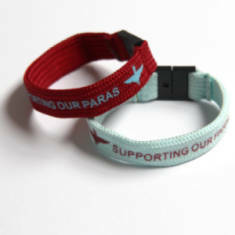 SUPPORT OUR PARAS Wristband in maroon. 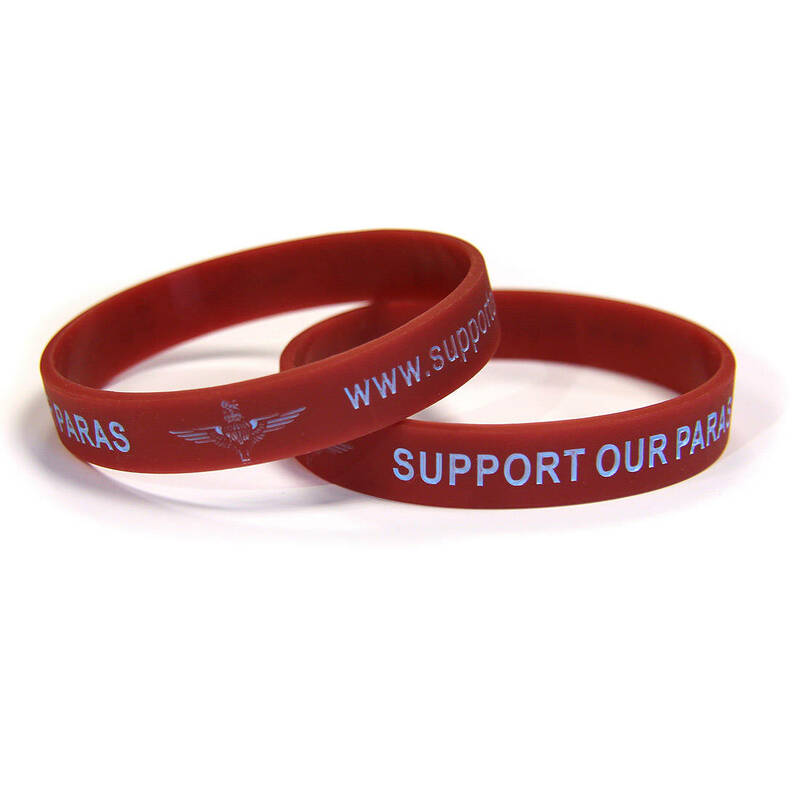 Features The Parachute Regiment Cap Badge and text 'SUPPORT OUR PARAS' on either side. 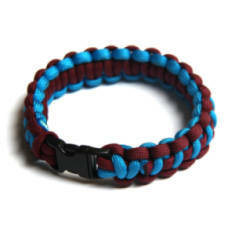 All embossed. 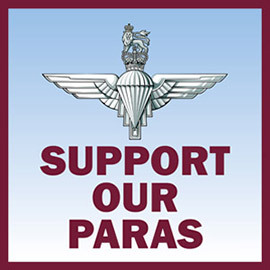 Proceeds go to SUPPORT OUR PARAS (Formerly The Parachute Regiment Charity).